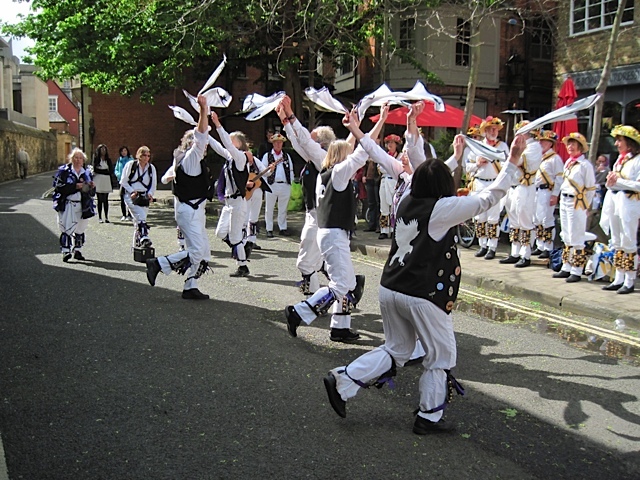 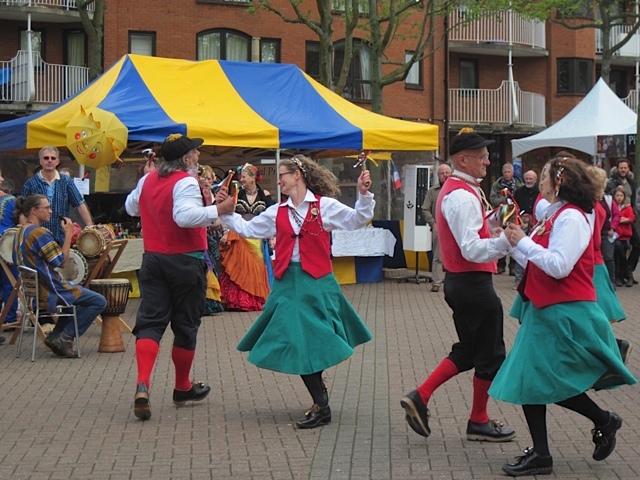 After a week of rain, Saturday was a mercifully dry, and we had a fine old time dancing at various locations in and around Wantage for the White Horse Folk Festival. 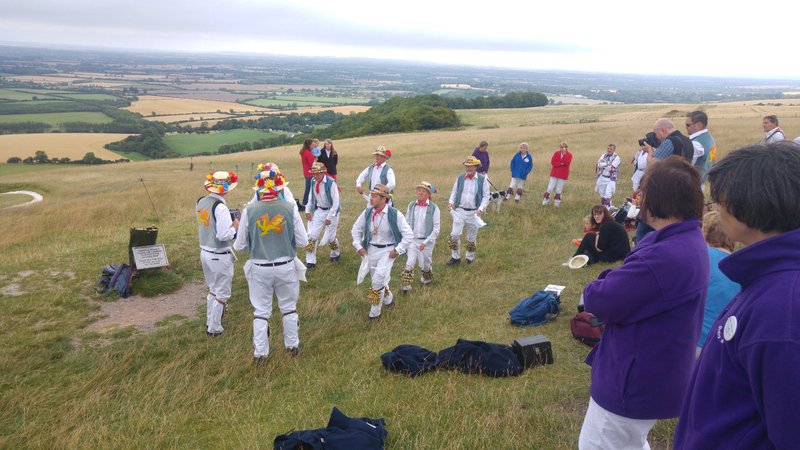 The day started at the famous Uffington White Horse. 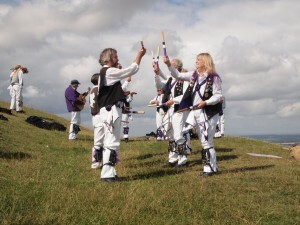 Dancing just above the horse’s head, we had a brilliant view over the hills. 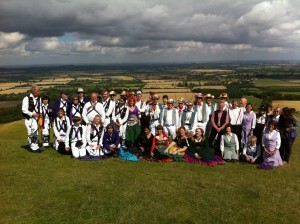 Our hosts Icknield Way led the way. We did three dances at the Horse. 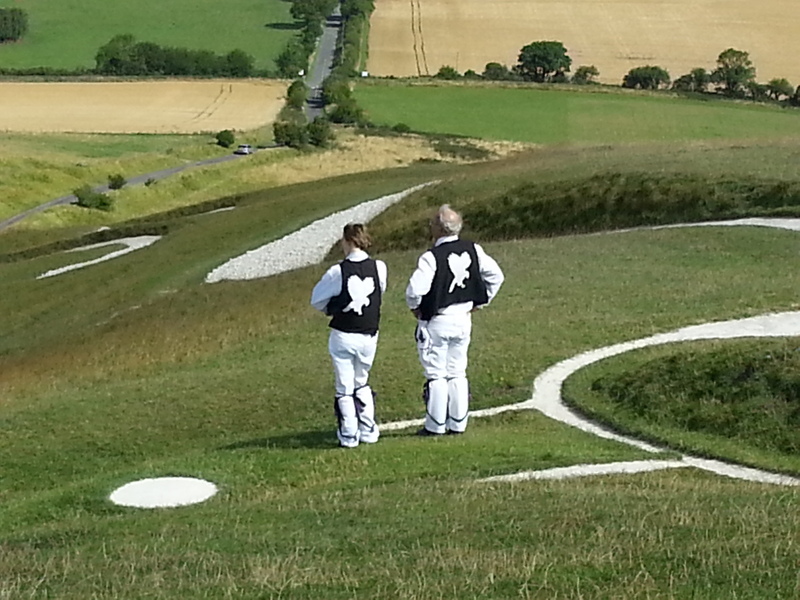 Dancing Constant Billy atop the White Horse at Uffington. And had time to enjoy the view. 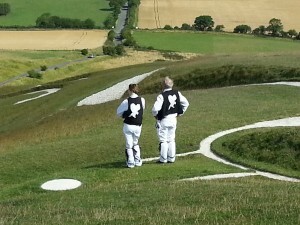 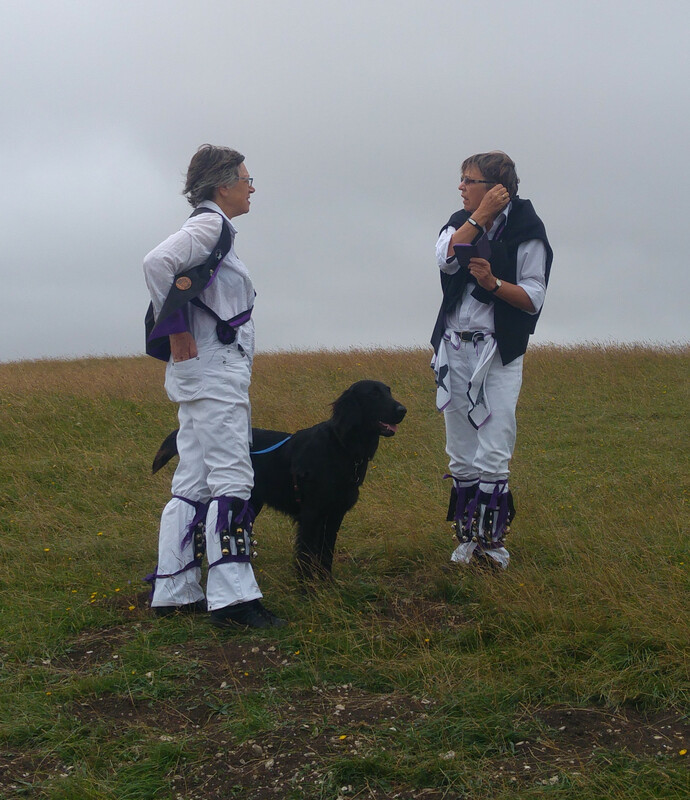 Emma and Mick enjoy the view standing on the White Horse at Uffington. 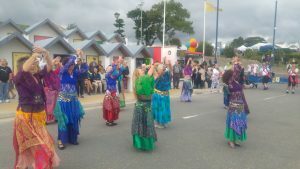 Other local groups Cornucopia Clog and Rose Hips bellydance danced in the sunshine too. 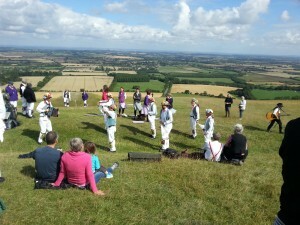 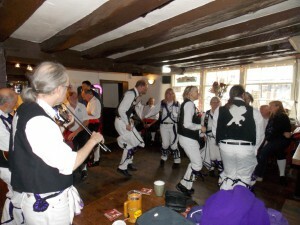 All sides dancing at the White Horse at Uffington. 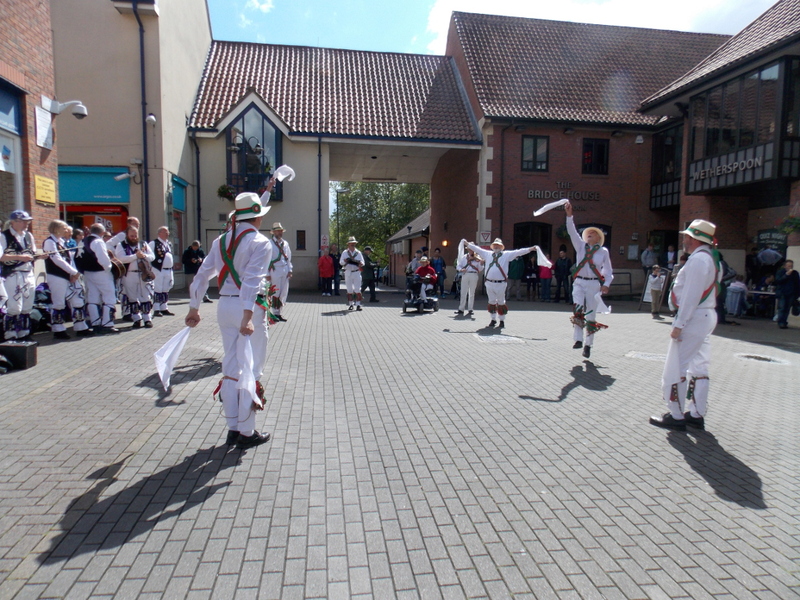 After that, we visited locations in Wantage and Grove, dancing 14 different dances in all. 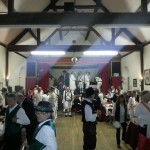 A busy day. 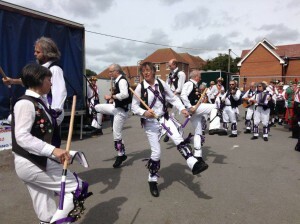 This entry was posted in Dance Outs, Folk festivals on August 17, 2015 by Jim Hague. 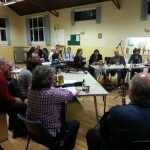 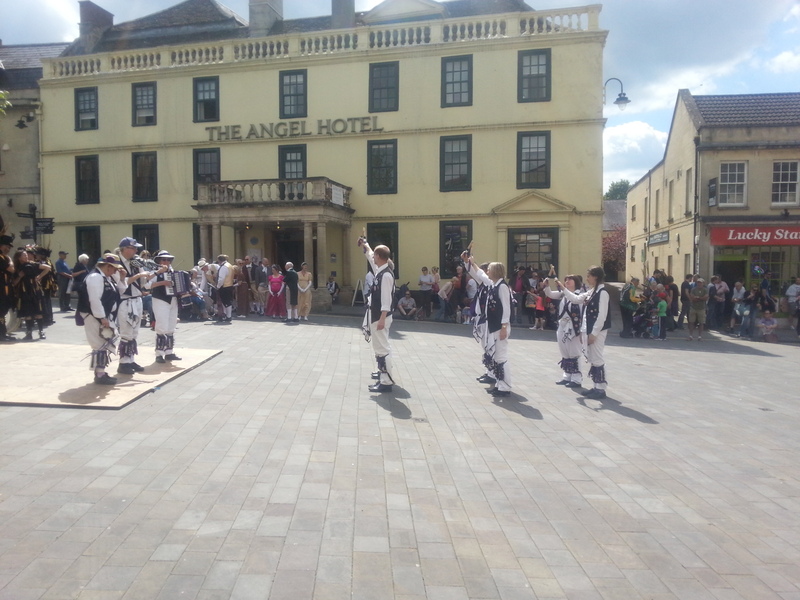 Chippenham Folk Festival is a regular fixture in the Havoc calendar. 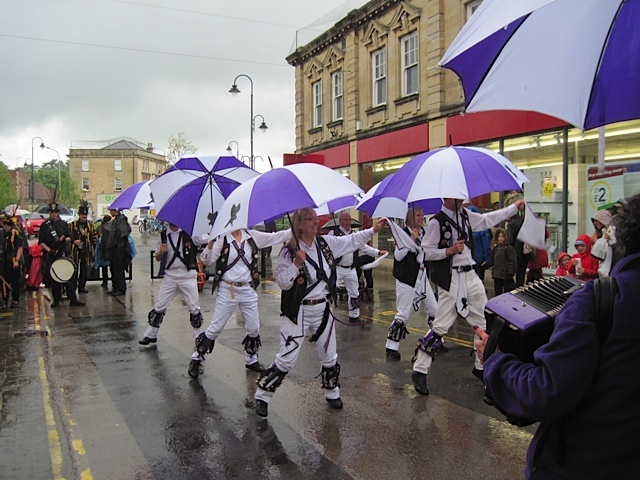 We’ve had to deploy umbrellas more than once in the past, but Saturday May 23rd was a perfect day. 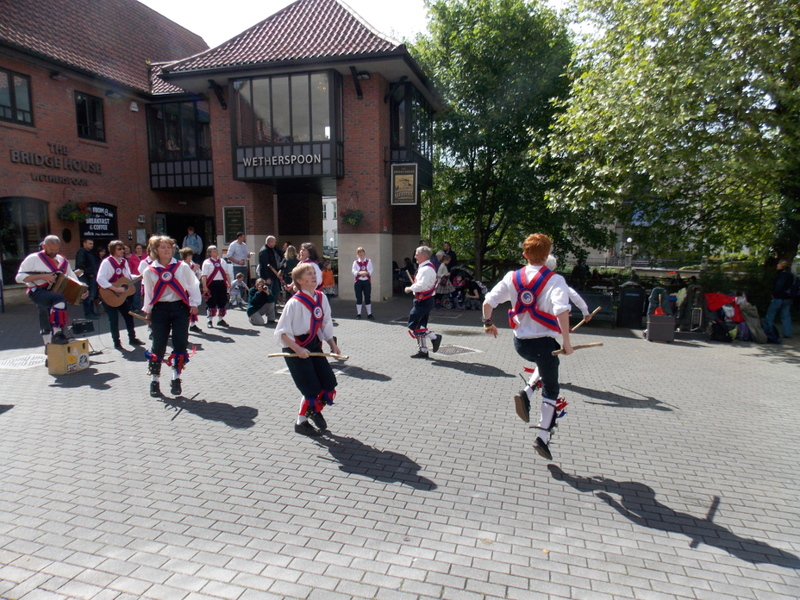 We started on the main stage and then proceeded to various dance spots about the town. 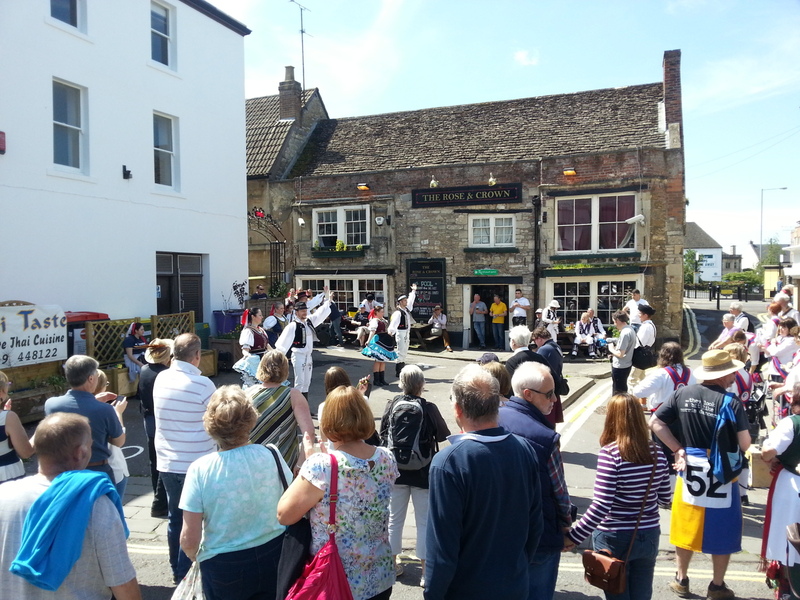 About to launch into ‘Constant Billy’ at the Chippenham Folk Festival. It was a day for running into dance types less often encountered. 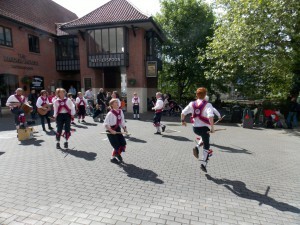 Slovak dance group Morena plough a very different furrow to English folk. 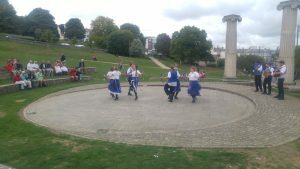 Slovak Dance Group Morena at Chippenham. 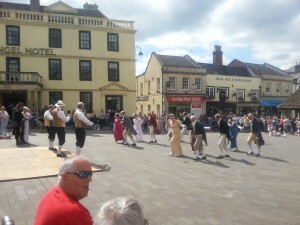 We were on more familiar ground with Lancashire’s very own Regency Rejigged. 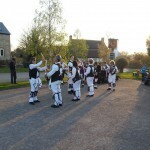 A couple of Havocs have done Playford, and much looked familiar, or so they said. Regency Rejigged at the Chippenham Folk Festival. 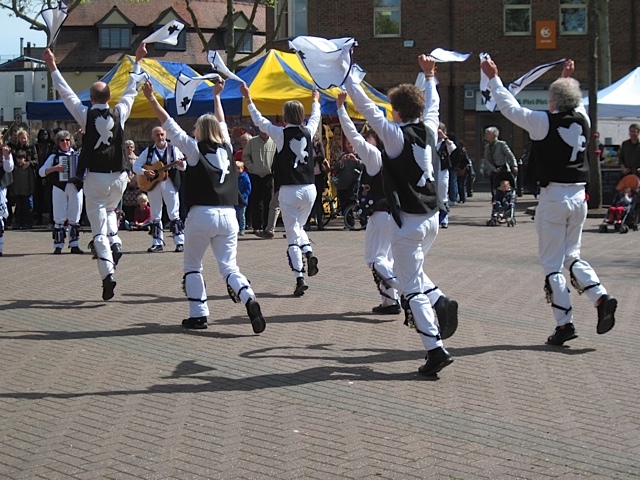 This entry was posted in Folk festivals on May 27, 2015 by Jim Hague. 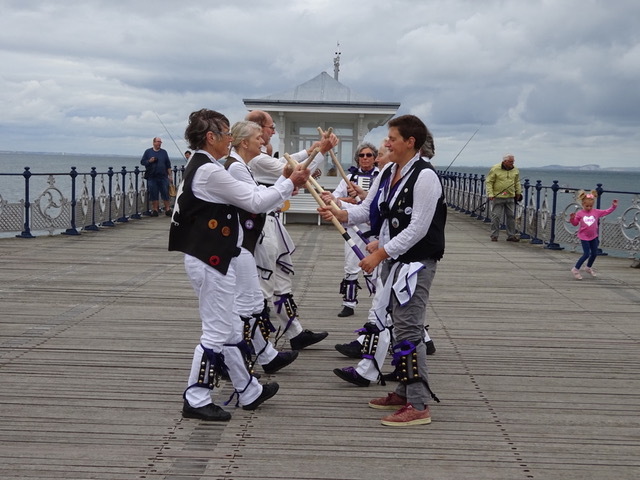 The last weekend in August. 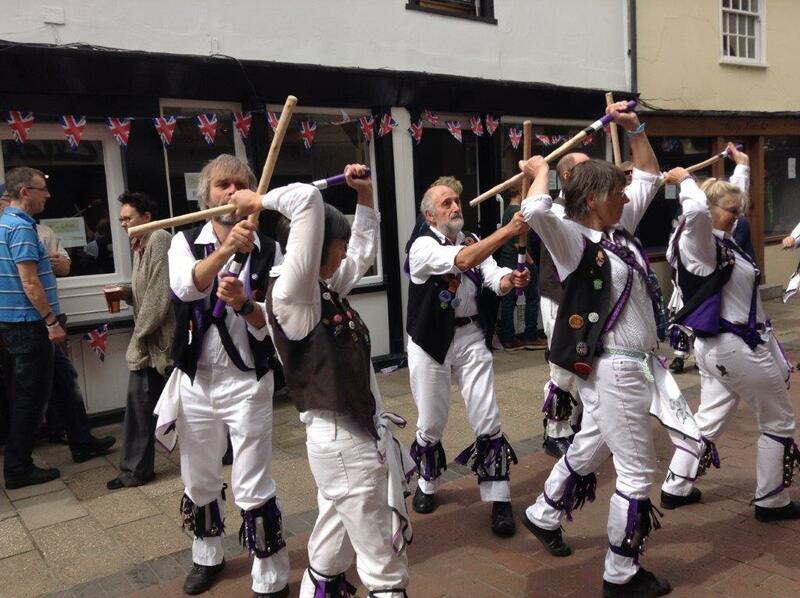 It must be Bunkfest in Wallingford. 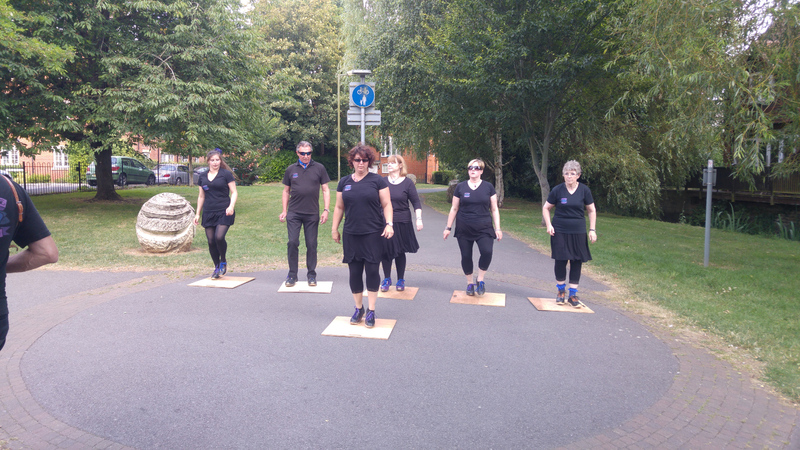 Cry Havoc were, as usual, part of the public dance programme. 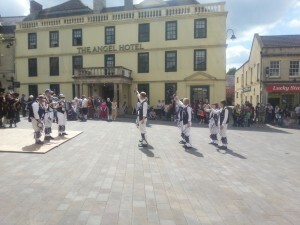 We appeared at four locations around the town centre, alternating with another side for 30 minute displays. 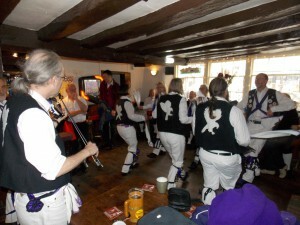 Dancing Lads A’Buncham at the Dolphin, Wallingford, on the Saturday of Bunkfest. Dancing Young Collins at the Cross Keys, Wallingford, on the Saturday of Bunkfest. This entry was posted in Folk festivals on September 1, 2014 by Jim Hague. 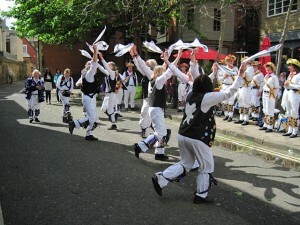 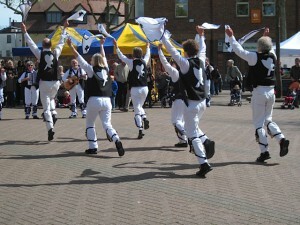 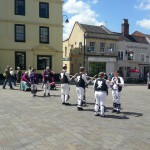 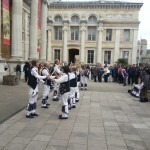 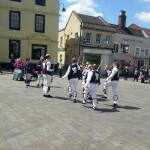 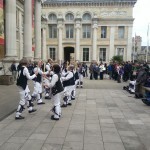 The weather was kind to us as we took part in the Saturday happenings of Oxford Folk Weekend. We started in Gloucester Green in the middle of the festival Village Fete. 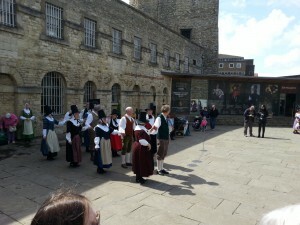 We then moved on to Oxford Castle. 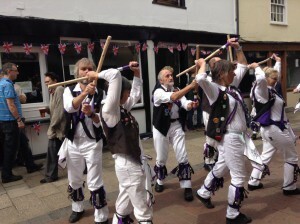 After a little lunch, we joined a motley assortment of other sides outside The Bear in Alfred Street. 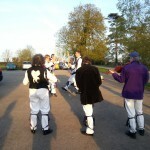 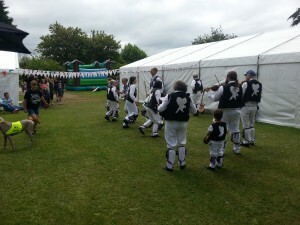 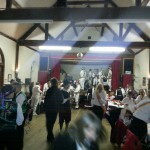 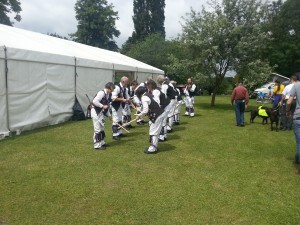 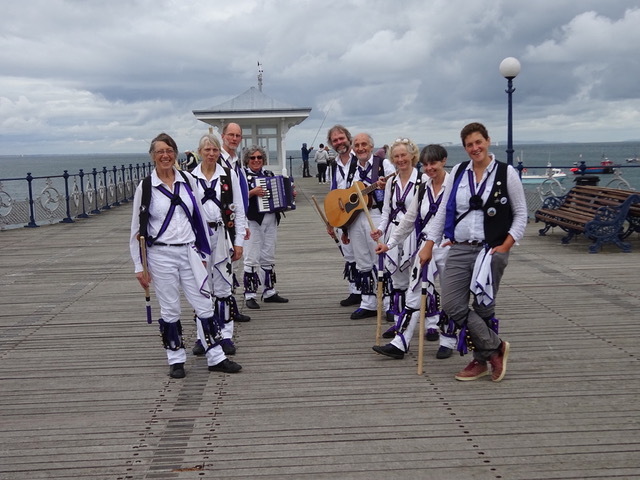 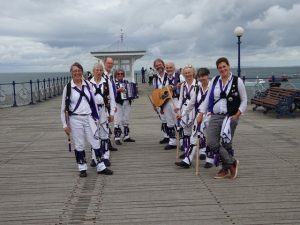 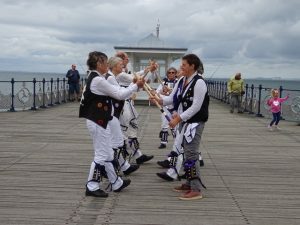 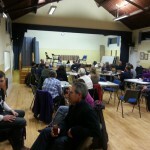 We then had a bit of a break before out last engagement of the day – running the festival Family Morris Dance Workshop. 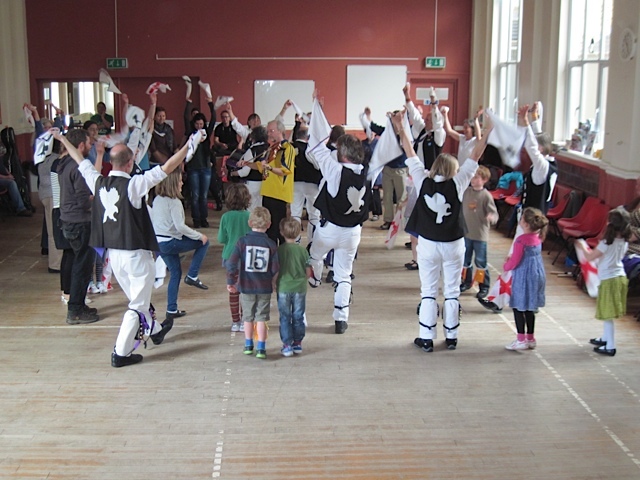 We think we did rather well – after a mere 40 minutes we had adults and children together doing most of Constant Billy! 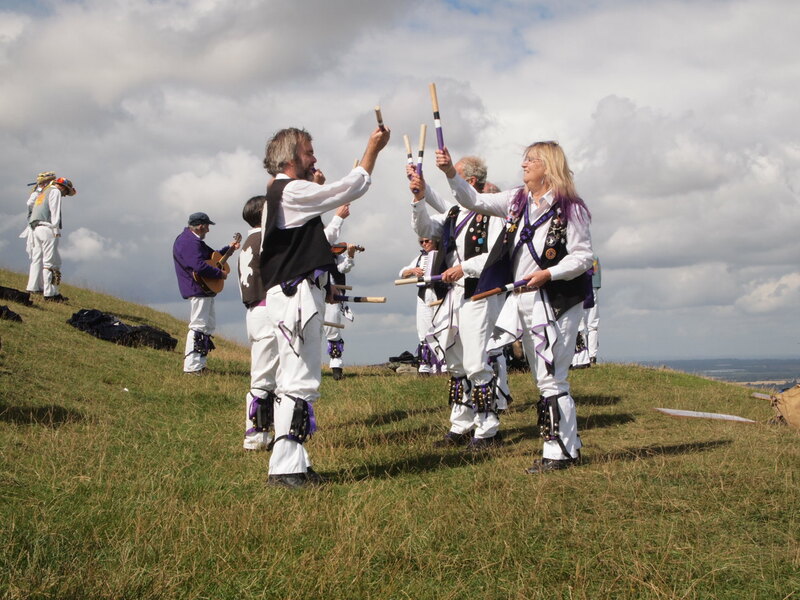 After that, a little show and tell about our musical instruments, and then we finished off with everybody joining in a Shepherd’s Hey. This entry was posted in Folk festivals on April 27, 2014 by Jim Hague.